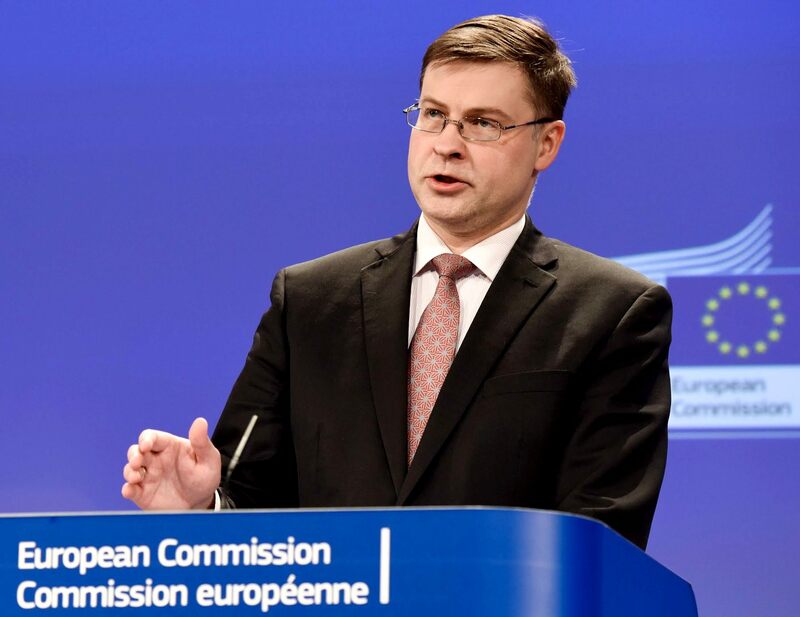 VICE PRESIDENT - Valdis Dombrovskis earned a bachelor's degree in economics for engineers from Riga Technical University in 1995 and a master's degree in physics from the University of Latvia in 1996. He worked as a laboratory assistant at the Institute of Physics of the University of Mainz in Mainz, Germany, from 1995 to 1996, as an assistant at the University of Latvia's Institute of Solid-State Physics in 1997, and as a PhD student at the A. James Clark School of Engineering at the University of Maryland, College Park for electrical engineering in 1998. Valdis Dombrovskis was born on the 5th of August 1971. He is a Latvian politician and the current European Commissioner for the Euro and Social Dialogue as well as a Vice-President of the European Commission, serving since November 2014. He served as Prime Minister of Latvia from 2009 until 2014, when he resigned. He served as Minister of Finance from 2002 to 2004 and was a Member of the European Parliament for the New Era Party. 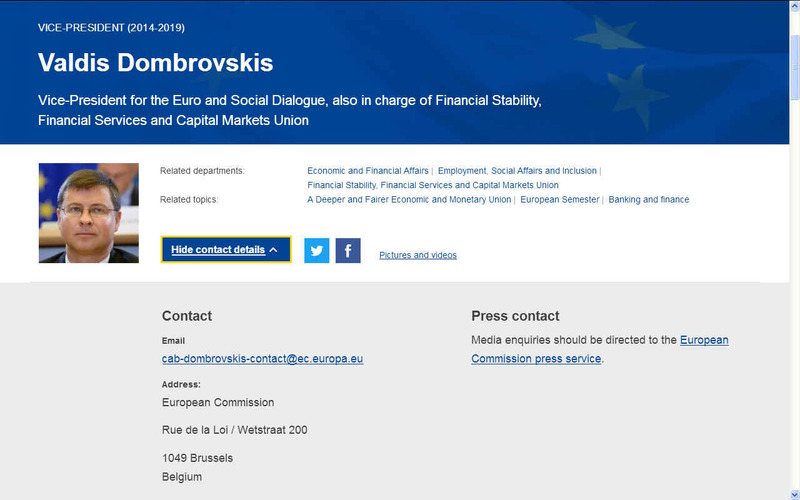 Following the resignation of Jonathan Hill, it was announced that Dombrovskis would take over the portfolio for Financial Stability, Financial Services and the Capital Markets Union from 16 July 2016. 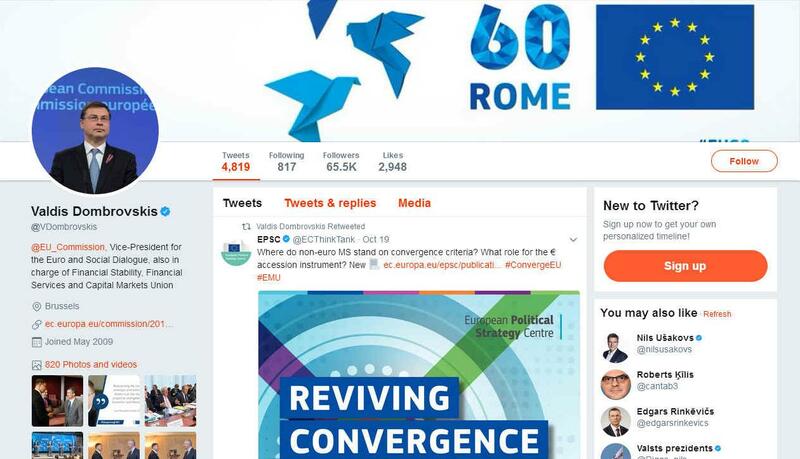 As Member of the European Parliament, Dombrovskis was a member of three European Parliament Committees: Committee on Budgets, Delegation to the ACP-EU Joint Parliamentary Assembly, Delegation to the Euro-Latin American Parliamentary Assembly. He is also a Substitute at Committee on Economic and Monetary Affairs, Committee on Budgetary Control and delegation to the EU-Kazakhstan, EU-Kyrgyzstan, and EU-Uzbekistan Parliamentary Cooperation Committees, and for relations with Tajikistan, Turkmenistan and Mongolia. Dombrovskis was also one of six Members of the European Parliament participating in the European Union's observer mission in Togo for the October 2007 Togolese parliamentary election. * Leading the project team "Euro and Social Dialogue". * Developing proposals to deepen the Economic and Monetary Union. * Making decisions about support for struggling eurozone countries more democratically legitimate, taking into account the social impact. * Developing proposals to encourage further structural reforms in eurozone countries. * Enhancing the convergence of economic, fiscal and labour market policies between EU countries (European Semester). * Promoting social dialogue; engaging with social partners. * Steering the work of the Structural Reform Support Service. * Ensuring that financial markets are properly regulated and supervised so that they are stable, competitive and transparent, at the service of jobs and growth. This includes the full implementation of the Banking Union. * Building a Capital Markets Union by 2019, for all 28 EU Member States, and maximising the benefits of capital markets and non-bank financial institutions for the rest of the economy, particularly for SMEs. * Proposing measures to make financial services work better for consumers and retail investors. * Promoting a consistent global approach to implementing regulation and agreed standards and principles, in cooperation with international partners. 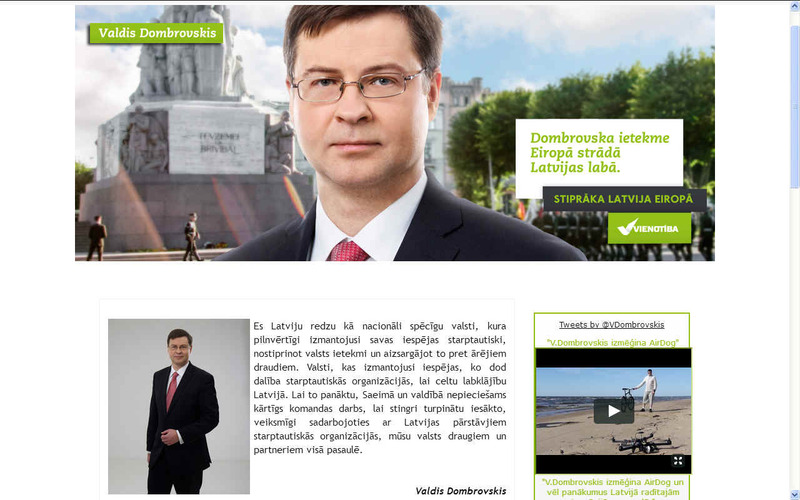 HOMEPAGE - Es Latviju redzu kā nacionāli spēcīgu valsti, kura pilnvērtīgi izmantojusi savas iespējas starptautiski, nostiprinot valsts ietekmi un aizsargājot to pret ārējiem draudiem. Valsti, kas izmantojusi iespējas, ko dod dalība starptautiskās organizācijās, lai celtu labklājību Latvijā. Lai to panāktu, Saeimā un valdībā nepieciešams kārtīgs komandas darbs, lai stingri turpinātu iesākto, veiksmīgi sadarbojoties ar Latvijas pārstāvjiem starptautiskās organizācijās, mūsu valsts draugiem un partneriem visā pasaulē.